1Please print this page to take advantage Simple@Schepel selected inventory discount. Not compatible with GM discounted sales (GM supplier, GM Employee, Costco) 2[[A]] This GM Lease Loyalty Cash (LNI) of $200 is good towards the purchase or lease of any new or untitled demonstrator 2019 GMC Sierra 1500 if you currently are leasing any model Buick, Cadillac, Chevy, or GMC vehicle. [[B]] If you do not qualify for the GM Lease Loyalty Cash, but are currently leasing any model 2012 or newer NON-GM vehicle, you can instead qualify for $500 in Conquest Lease Cash (LLH) which is also good towards the purchase or lease of any new or untitled demonstrator 2018 GMC Sierra 2500HD model. ***Copy of  current unexpired lease contract or payment coupon and  current unexpired vehicle registration are required as proof of ownership. *** EITHER OF THESE OFFERS CAN BE TRANSFERRED TO ANOTHER MEMBER OF THE SAME HOUSEHOLD, provided that both Driver's Licenses show the same address. Not compatible with STANDALONE offers. 3This Bonus Cash (LJR) of $2000 is good toward the purchase of any 2019 Sierra 1500 double cab with SLE value or Elevation package. Not compatible with STANDALONE offers. 4This GM Bonus Cash (JPP) of $1000 is good towards the purchase of any new or untitled demonstrator 2019 GMC Sierra 1500 SLE/ SLT Dbl cab model truck. It is NOT compatible with Select Models with STANDALONE incentives. 1[[A]] This GM Lease Loyalty Cash (LNI) of $200 is good towards the purchase or lease of any new or untitled demonstrator 2019 GMC Sierra 1500 if you currently are leasing any model Buick, Cadillac, Chevy, or GMC vehicle. [[B]] If you do not qualify for the GM Lease Loyalty Cash, but are currently leasing any model 2012 or newer NON-GM vehicle, you can instead qualify for $500 in Conquest Lease Cash (LLH) which is also good towards the purchase or lease of any new or untitled demonstrator 2018 GMC Sierra 2500HD model. ***Copy of  current unexpired lease contract or payment coupon and  current unexpired vehicle registration are required as proof of ownership. *** EITHER OF THESE OFFERS CAN BE TRANSFERRED TO ANOTHER MEMBER OF THE SAME HOUSEHOLD, provided that both Driver's Licenses show the same address. Not compatible with STANDALONE offers. 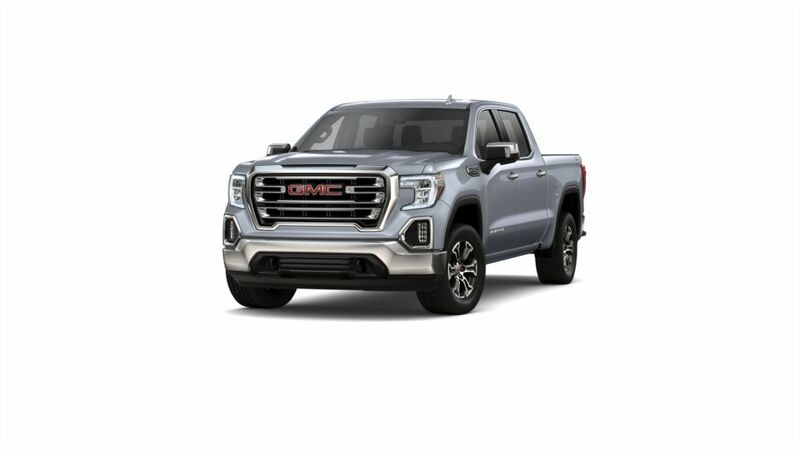 2This Bonus Cash (LJR) of $2000 is good toward the purchase of any 2019 Sierra 1500 double cab with SLE value or Elevation package. Not compatible with STANDALONE offers. 3Please print this page to take advantage Simple@Schepel selected inventory discount. Not compatible with GM discounted sales (GM supplier, GM Employee, Costco) 4This GM Bonus Cash (JPP) of $1000 is good towards the purchase of any new or untitled demonstrator 2019 GMC Sierra 1500 SLE/ SLT Dbl cab model truck. It is NOT compatible with Select Models with STANDALONE incentives.